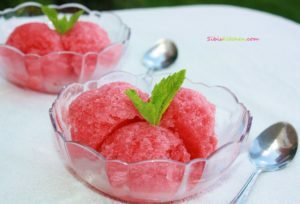 Sorbet is a frozen dessert made from sweetened water flavoured with iced fruit (typically juice or puree) or plain chocolate. 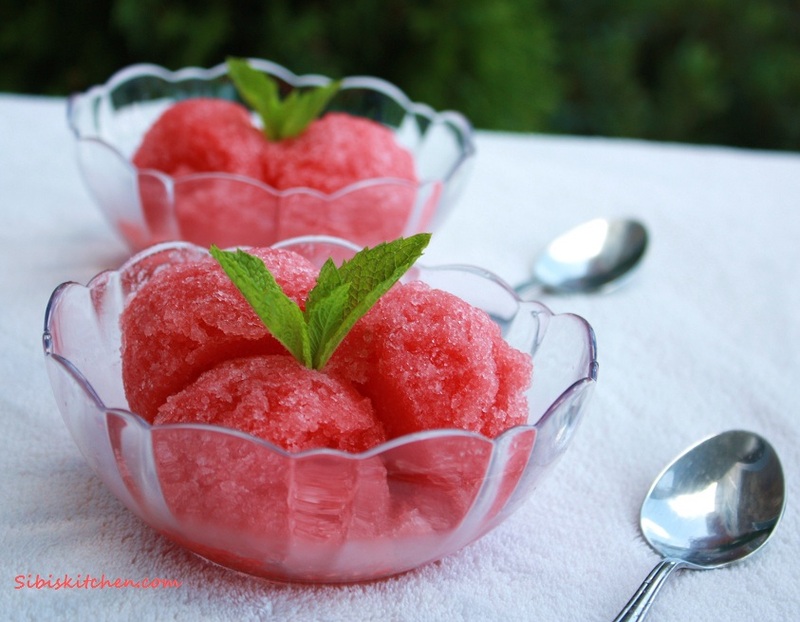 1.Place all ingredients into a blender and pulse it until all the watermelon chunks turn into a smooth sorbet. 2.You can serve it right away or scoop it out and freeze for a few hours in a container. Use an ice cream scoop to serve.